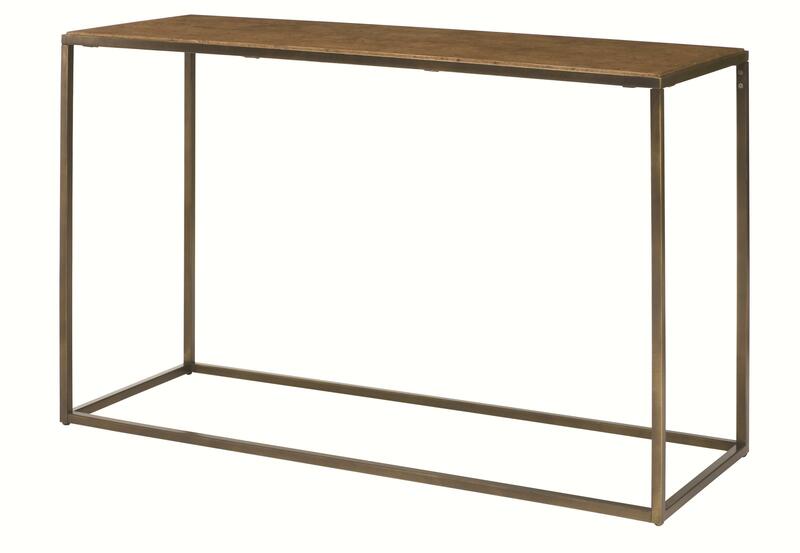 Add some lengthy style to your contemporary home with this sofa table. Perfect for back a sofa or against a wall, this piece gives you tons of display space without taking up too much room. Enjoy the linear design of this piece, as it shows off the best in contemporary style elements. No assembly required. All other items sold separately. The Soho Sofa Table by Hammary at HomeWorld Furniture in the Hawaii, Oahu, Hilo, Kona, Maui area. Product availability may vary. Contact us for the most current availability on this product. 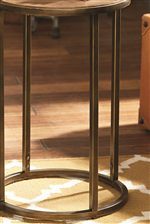 Looking for an occasional table collection that's as trendy as you are? The Soho collection has got you covered. It features clean, simple steel bases to support inset travertine tops. 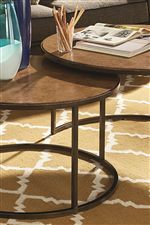 Whether you prefer rectangular or circular tables, nesting tables or standard, Soho will have a fit that's right for you. These are perfect accent pieces for your trendy, contemporary home. The Soho collection is a great option if you are looking for Contemporary furniture in the Hawaii, Oahu, Hilo, Kona, Maui area.